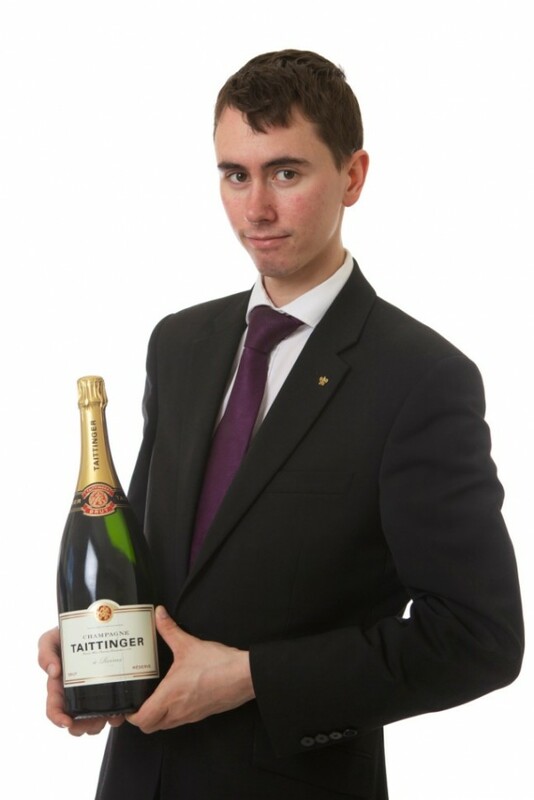 I currently work as Head Sommelier and Wine Buyer at Chewton Glen Hotel & Spa in Hampshire, South of England (www.chewtonglen.com), a five red Star hotel with a 1,100 bin wine list – we list over 130 different dessert wines and are the largest stockists of English wines in the United Kingdom, with over 60 individual lines. I was particularly impressed with the décor, service and concept at Tom Aikens in Chelsea, London, as I was with the tasting menu at Marcus Wareing at The Berkeley which have been two of my most recent dining experiences. The Greenhouse in Mayfair, London is still at the top of my list for the sheer quality of the wine selection; not only is their wine menu the largest in the U.K. but the staff are extremely approachable along with it. I partook in the tasting menu with wines at lunchtime earlier this year and was deeply enthused by the quality of the cuisine and the eclectic wine choices. Most probably the Square in Mayfair, London, as it was my first 2 Michelin Star dining experience and the highest level of cuisine I had experienced at that time… at that time it was also the dearest restaurant bill I had ever paid! I tend not to dine anywhere more than two or three times, as I still have a huge number of restaurants, bars and hotels in the United Kingdom – and indeed the world – to visit and to draw inspiration from. If I were to choose a restaurant within my local vicinity that I would love to frequent more often should I have the time to do so, then it would be Hotel Terravina in the New Forest which is the iconic brainchild of Gerard Basset MW MS, the worlds most revered Sommelier. I am not the most proficient of cooks, but I do love my seafood so have no qualms in buying a bag full of mussels and langoustines and throwing together a risotto or paella. Wine bars are not really my thing, and are not all that popular here in the UK. I prefer to visit a cocktail bar before dinner, a destination restaurant for my evening meal and subsequently another cocktail bar for a nightcap before crawling back to my hotel. My most frequented cocktail bars are Milk & Honey and The Player in Soho, to which I am a member. This is a very difficult question to answer, as I use over thirty individual purveyors to stock the Hotels cellar. I love using the likes of Gerrard Seel for Burgundy and Bordeaux, Enotria and Liberty for their eclectic selection of New World and Italian wines, O.W. Loeb for their German portfolio, Waddesdon Manor for all-things-Rothschild related and some smaller local suppliers such as Whirly Wines for some slightly more exclusive products that no-one else stocks in their portfolio. I am currently sat in a hotel bar in Nantes in the Loire Valley sipping my way through a half bottle of 2011 Chinon. If I remember correctly the 1998 vintage of Chateau Musar was the first wine that I found truly mind blowing – although Inniskillin’s 2004 Vidal Gold Ice Wine is to this day still one of the finest dessert wines I have ever sampled, and I am a sticky wine fanatic to say the very least. I have recently been introduced to the red wines of Tursan in the South West of France; we serve one cuvée by the glass which is produced using an interesting blend of Cabernet Franc and Malbec. One of my all-time favourite wines for the money is the Silver Label Monastrell by Bodegas Juan Gil, a winery based in Jumilla in the South Eastern corner of Spain. At approximately £10 a bottle from their UK importer it is a real steal and over performs on every level. Two of our most regular guests at the hotel had been staying with us for around a fortnight and asked that the Chef cook them up a bespoke chicken stir-fry, with which we paired the dry Gewürztraminer by Amity Vineyards from Oregon, which was quite simply a marriage made in heaven.